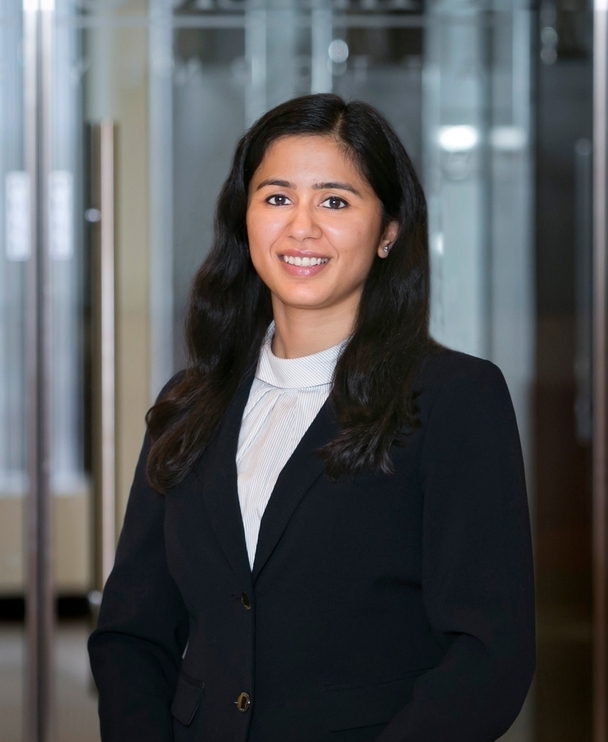 Aastha Sharma is an associate in the Firm’s Business Group where she focuses her practice on corporate finance, securities regulation, mergers and acquisitions, joint ventures, venture capital, and early stage investment transactions. Aastha has counseled various banking and financial companies on sophisticated corporate and securities transactions. She has experience drafting and negotiating various transactional documents including private placement memorandums, agreements with registered intermediaries, portfolio management agreements, investment advisory agreements and legal opinions. Prior to joining the Firm, Aastha was with Shoffner & Associates in Boston, MA. A native of India, Aastha received her law degree from Government Law College and thereafter worked at a boutique financial law firm, specializing in capital markets. She then received her LL.M. in Business and Commercial Law from Boston College Law School in 2013. She is fluent in Hindi.